If you love the Eastside, you probably love Echo Park. It’s hard not to – because it’s a neighborhood that brings together the many qualities that make LA so special to live in. Colorful and artistic, Echo Park is constantly teeming with action, offering the best in dining, nightlife and cultural events. Representing homes in Echo Park is always a special treat for us, because we know how happy living there will make the future homeowners! Right now, we are excited to bring your Colline, luxurious new homes situated in the midst of this happening enclave. 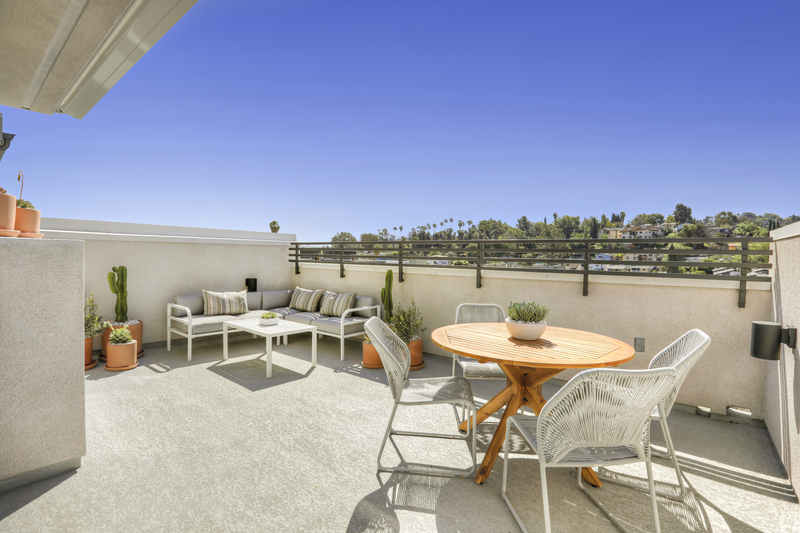 Each home comes with a large rooftop deck to relax and entertain against a backdrop of unobstructed vistas. 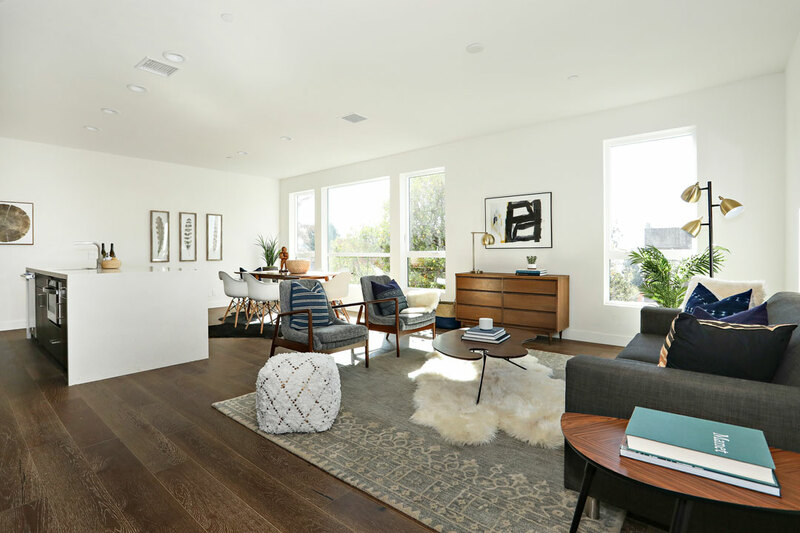 Inside, there are two levels of airy, open living space that’s filled with light and finished with wood flooring. 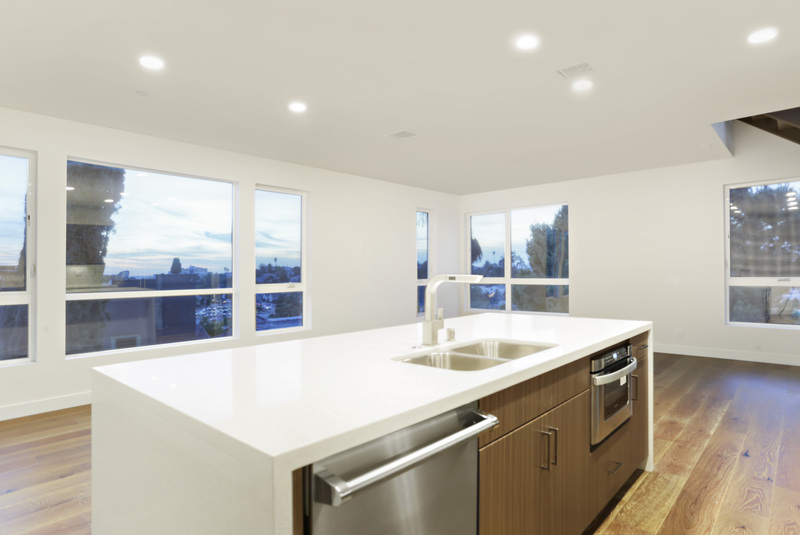 The homes are complete and ready for occupancy, including a full set of Viking kitchen appliances, and a washer & dryer by Electrolux, which means you can move right in and feel at home. Nestled into a residential hillside, your Colline home puts you just blocks away from Echo Park Avenue and Sunset Boulevard with all the shopping, dining, coffee and nightspots you can dream of – you’ll never have a dull moment.Read on to get a glimpse of what weekend is like when you live at Colline and come visit us this Sunday to explore these wonderful new homes, we’ll be open from 1-4P. 9am – Start your day with a latte from Stories, a local staple that brings together coffee and books (a most natural pairing). Pick up a novel to leaf through as you sip your beverage, or just browse to your heart’s content. 1pm – Pop out of the workshop to catch the annual Echo Park Community Parade along Sunset Boulevard between Vin Scully Avenue and Park Avenue – a cultural event attended by thousands of Angelenos and visitors for over 50 years. Expect revelry, cheer, community spirit, and of course Parade floats, classic cars, and fun performances by community groups. 3pm – Get some holiday shopping done at Mohawk General Store. Discerning gift givers will find tasteful presents by local and international designers ranging from SMOCK, Dries Van Noten, Mansur Gavriel, Engineered Garments, Acne, Nonative and Kathleen Whitaker. 7pm – It’s dinnertime! 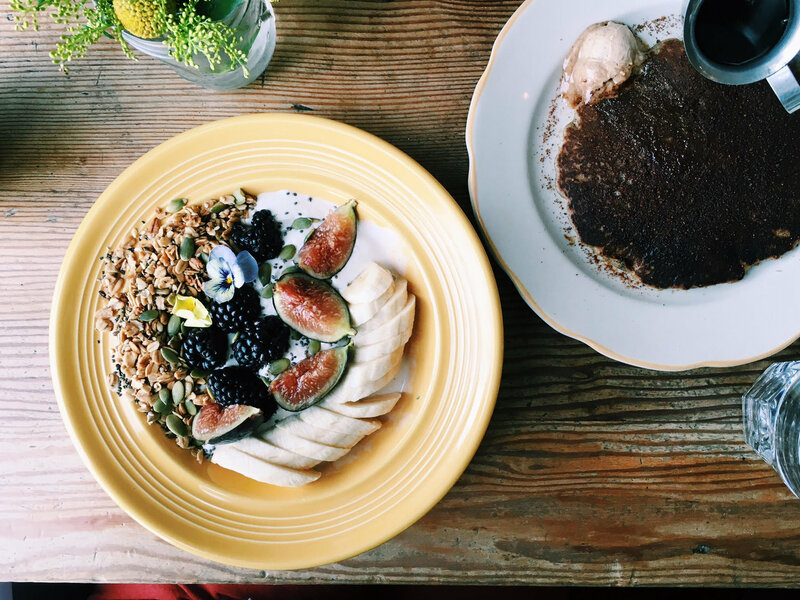 So many places to consider, but here are our two suggestions that are certain to satisfy: If you feel like Traditional/Californian fare, we recommend the relaxed atmosphere of The Park. Or, if you want to get your dinner and drinks sorted in one fell swoop, take a chance on Mohawk Bend – this trendy gastropub serves up delicious bar food and mixes excellent cocktails. 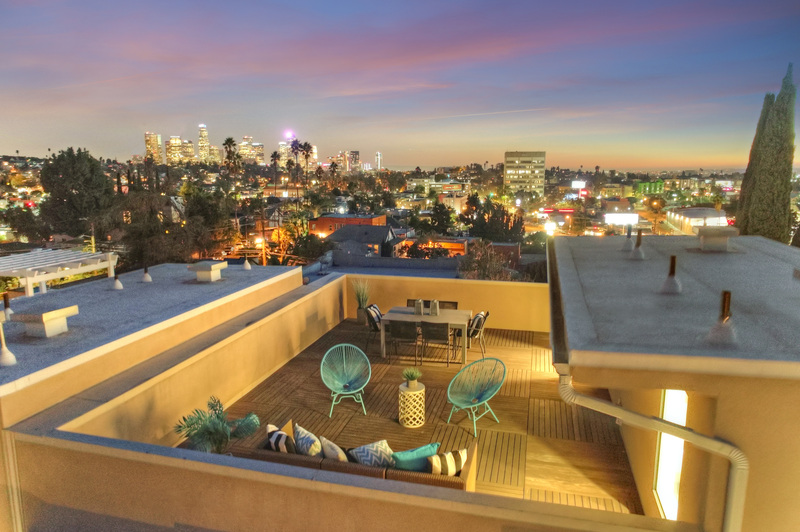 Sweeping city views from the rooftop eck at Colline, beautiful new homes in Echo Park. 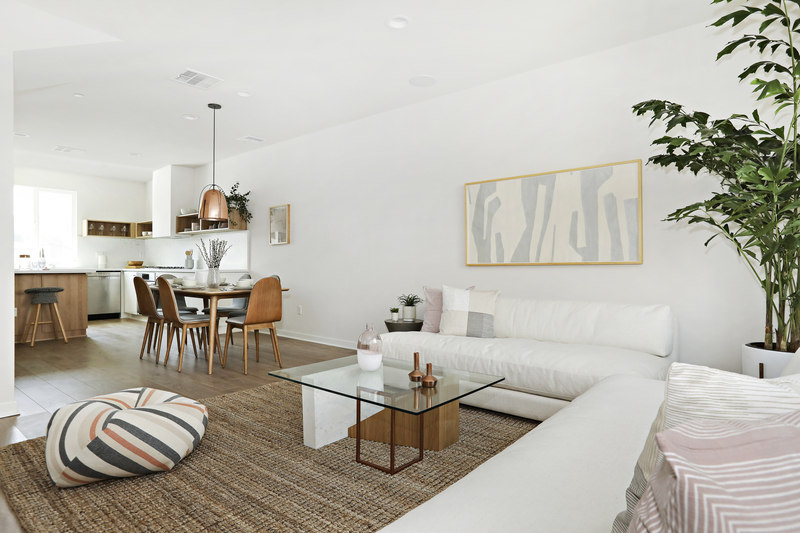 The final homes are now selling at The E.R.B., a serene community of small-lot homes in beautiful Eagle Rock. It’s been a total joy to introduce these fabulous modern homes to the public and to facilitate so many happy homeownership stories! If you’re looking for a home in Northeast Los Angeles, The E.R.B. 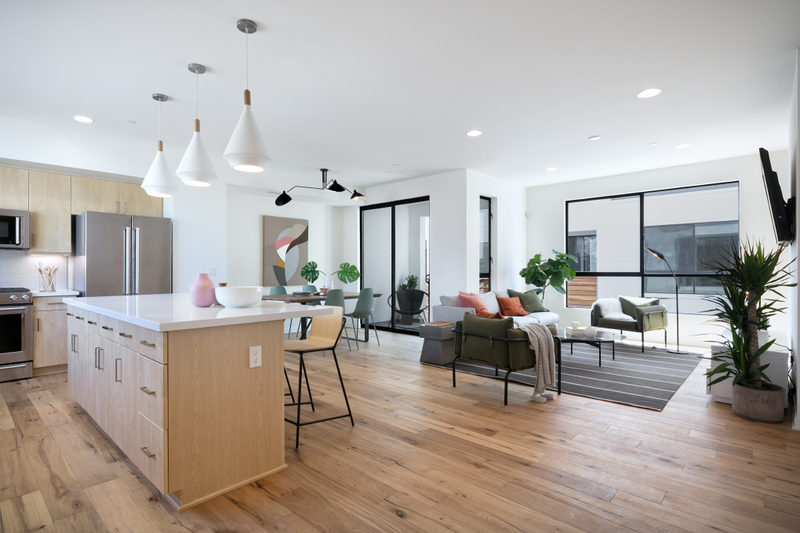 is a great choice: built with a localized approach in mind, these eco-friendly small lot homes put you at the intersection of Eagle Rock, Glassell Park and Highland Park, with countless options for shopping and dining at your doorstep, and only minutes from a variety of hiking trails. The homes at the E.R.B. 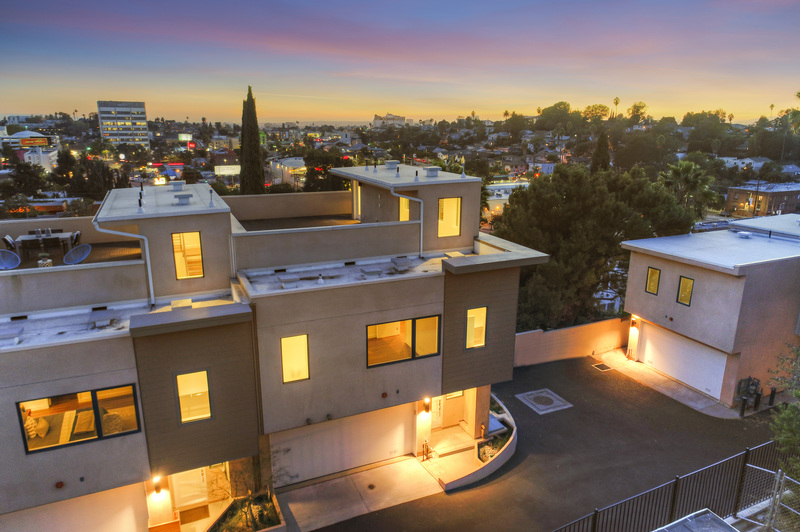 provide an expansive and versatile tri-level layout of three bedrooms + den, two and a half baths, and a rooftop deck with sweeping views of the San Gabriel Mountains and city lights. 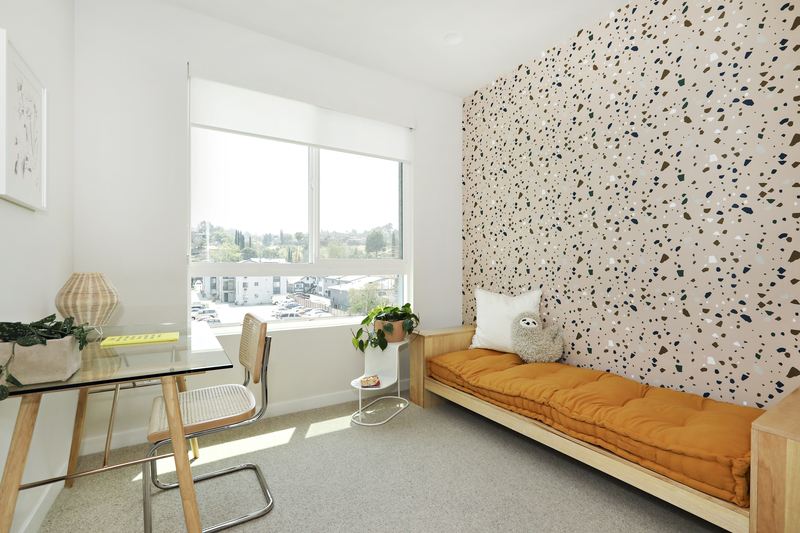 This ingenious design easily accommodates entertaining family and friends, working from home, and even running a business from your very own ground-floor storefront (talk about beating the rush-hour traffic!). If you’ve been contemplating starting a new business venture, don’t miss your chance! 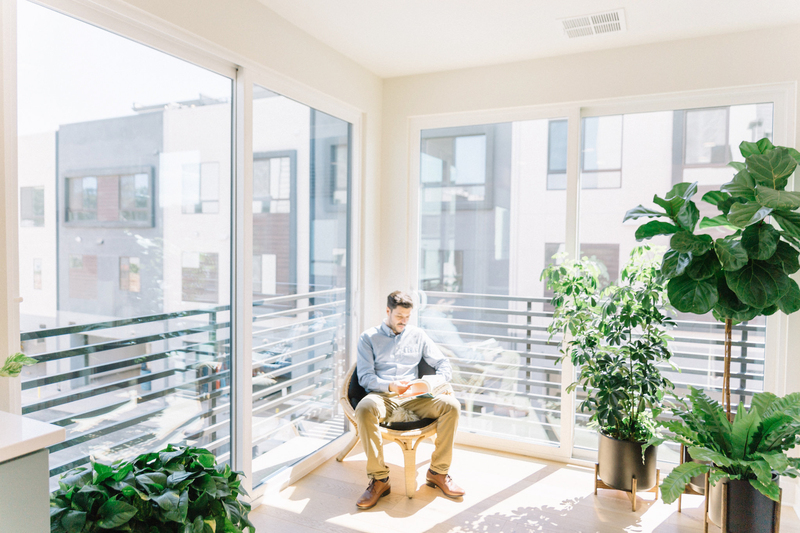 Owning a mixed-use home is always a wise investment – you can live and work with zero commute, or realize income potential with one or both spaces. In keeping with community spirit, the Model homes at the E.R.B. were designed by talented local designers Matters of Space. 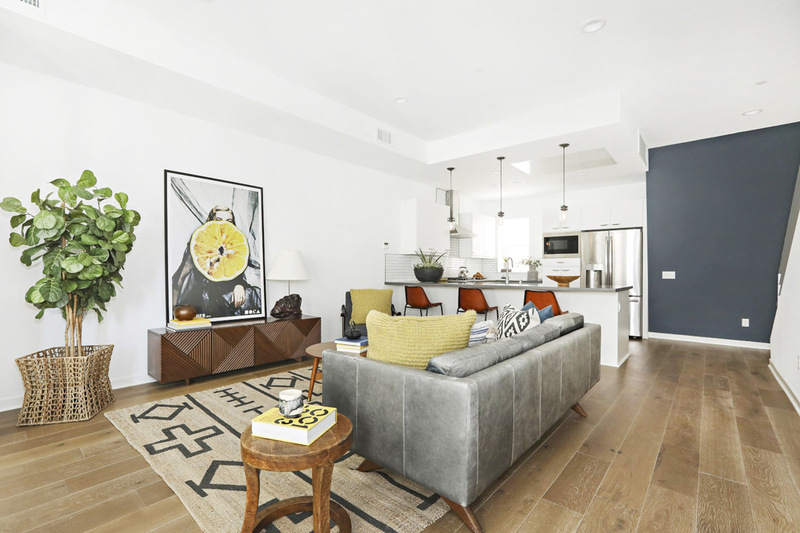 The light-filled spaces are beautifully rendered with custom elements and upgrades including wood and tile flooring, stylish paint colors and striking wallpaper, setting an impeccable stage to showcase your personal style. 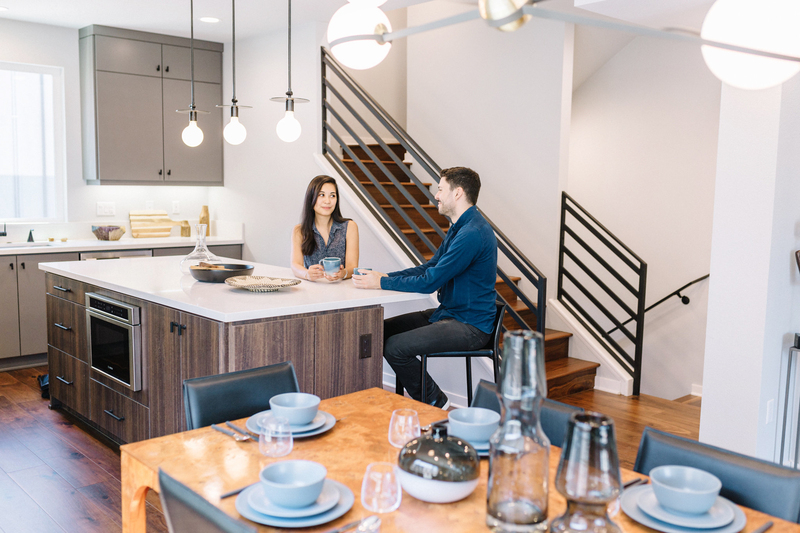 These turnkey homes come with a full suite of upgraded appliances, smart home features, and the option to purchase a complete set of designer furniture. Come get to know The E.R.B. and its vibrant community this week – we are located at 4326 N. Eagle Rock Blvd, 90041 and open daily from 10am – 5pm (Monday 2pm – 5pm). To see the floor plans and to learn more about the possibilities of owning at The E.R.N., head to theerb.com and of course contact us directly with any questions. It’s the spookiest month of the season, and while autumnal foliage is sparse in Los Angeles, pumpkins have indeed appeared, so fall is definitely in the air! The days are getting noticeably shorter, but we know just the way to keep the early twilight blues at bay – and the answer lies in lighting. 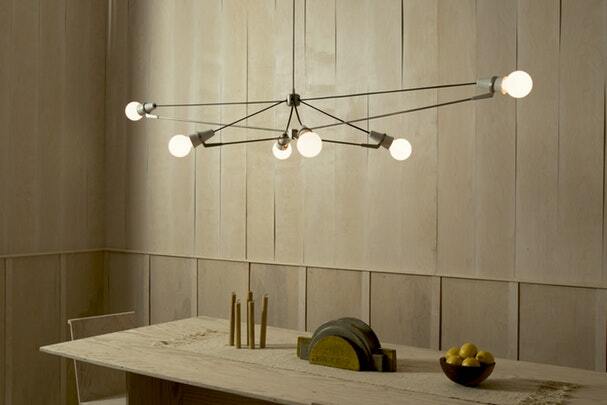 A strategically placed lamp is certain to brighten your evening and update your space for the season. 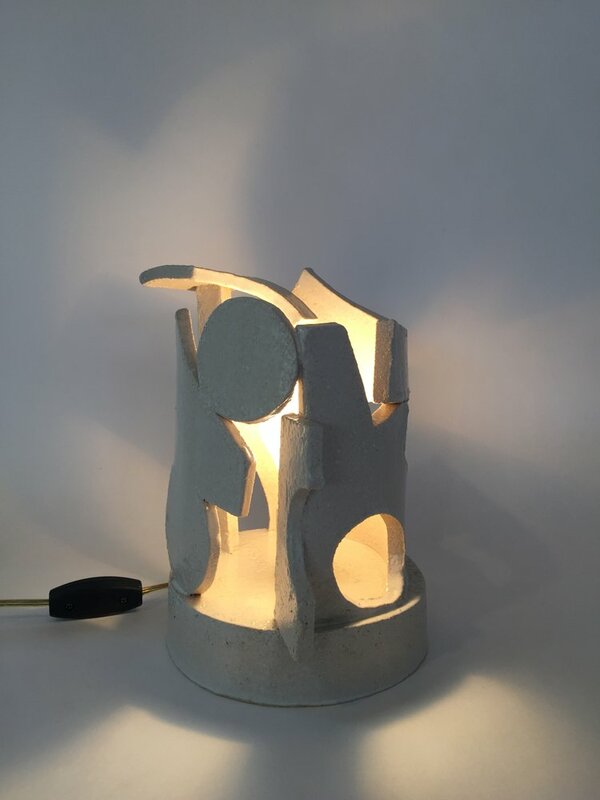 Good lighting is so important and we are passionate about design, so we thought this a perfect opportunity to curate a selection of lamps and pendants that we admire and hope you’ll enjoy. Keep on reading to find design inspiration for your home this fall! 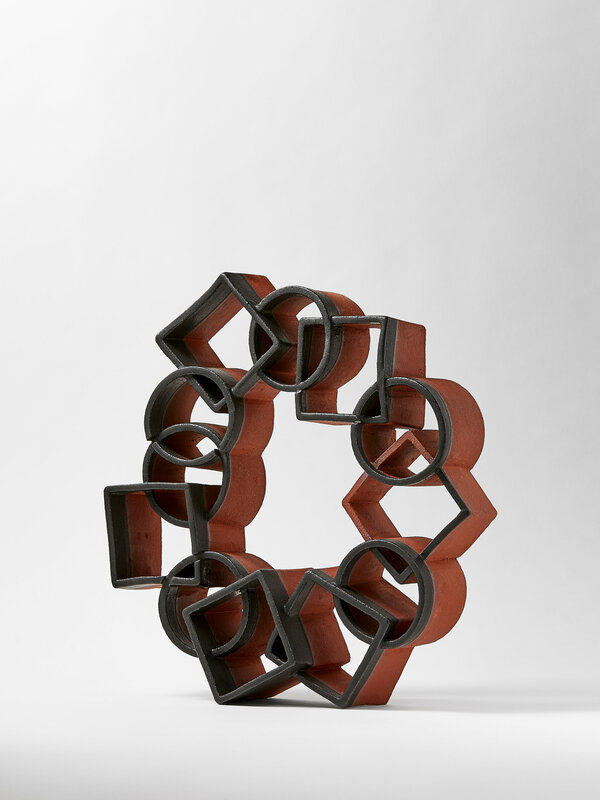 We already mentioned how much we love the sculptural practice of Los Angeles-based artist Morgan Peck. 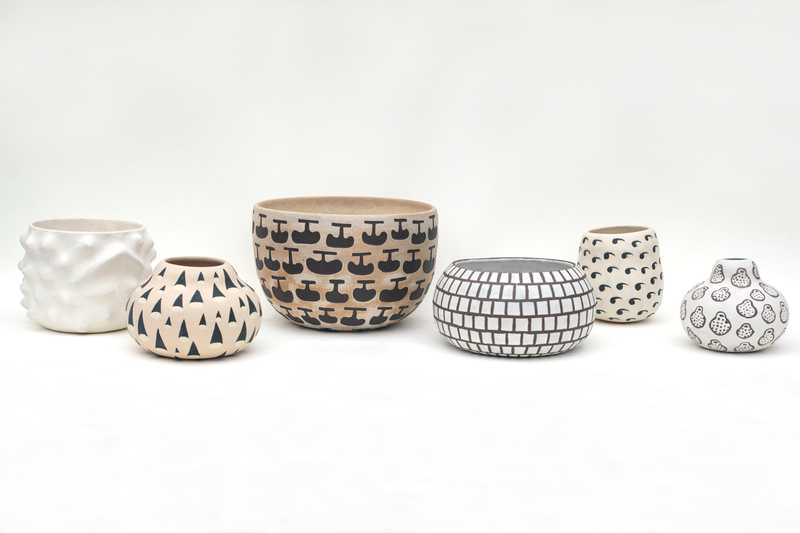 Her newest collection of functional ceramics is equally enchanting, and includes gorgeous cylindrical lamps that feature cut-outs, a design that will produce a magical, shadow-play effect when illuminated. And last, but not least, of our design picks today is another Angeleno designer: Brandon Ravenhill takes on the familiar mid-century modern sputnik shape and reworks it into an inspired chandelier that resonates with celestial beauty that would look stunning in every interior, whether your home is a Craftsman Bungalow in Silver Lake or a contemporary home in North Hollywood. So grateful and excited to be nominated for The Best in Real Estate category in the annual Silver Lake Awards. Silver Lake is where it all began for us 18 years ago, and it’s been an awesome and humbling honor to be a part of this vibrant community as it grew and evolved. 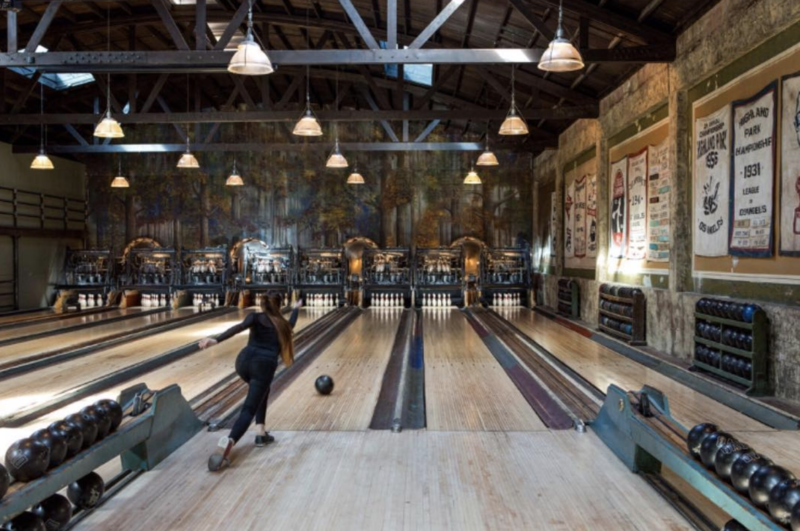 A neighborhood of creative residents, beautiful architecture, and unique spirit, Silver Lake deserves only the very best – and we spare no effort in delivering exactly that. 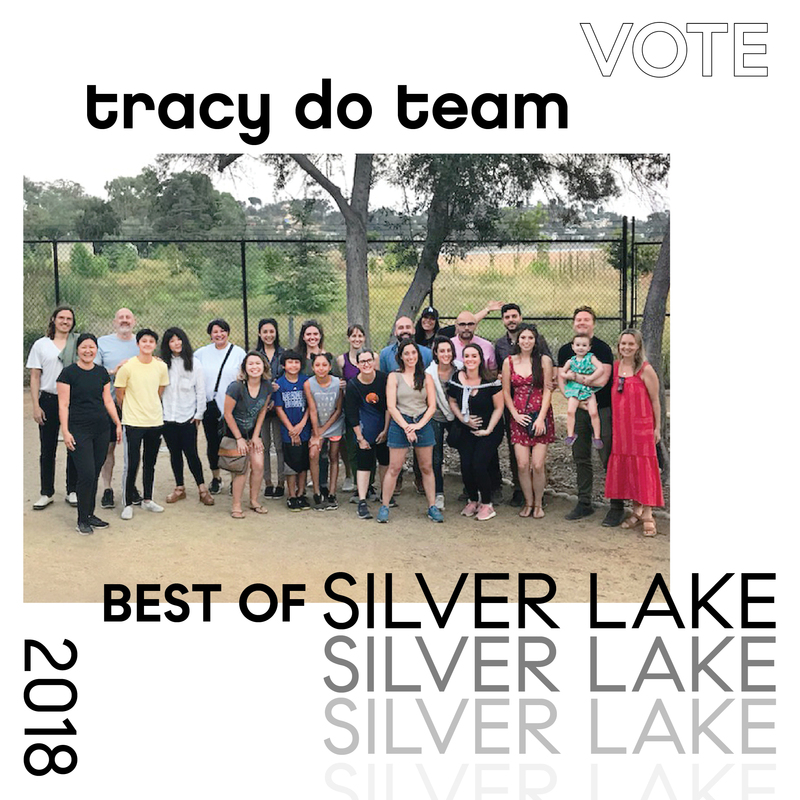 If you haven’t yet voted, we hope you’ll cast your digital ballot for the Tracy Do Team! 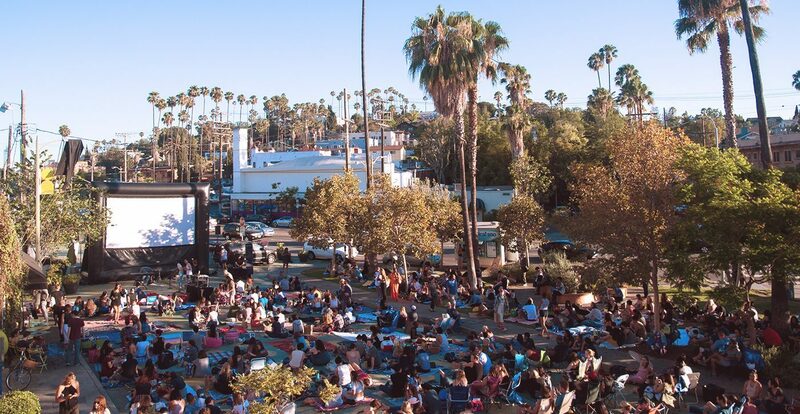 One of our favorite Silver Lake events happens on Thursday nights, when members of the community gather at the Sunset Triangle Plaza for outdoor film watching. 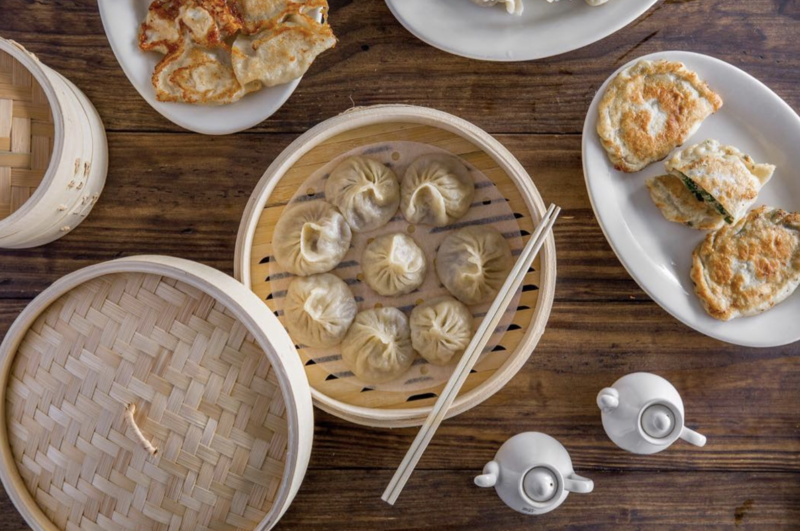 Enjoy this wonderful event every other week through September – remember to bring a chair and stop by a local eatery (so many to choose from in Silver Lake!) 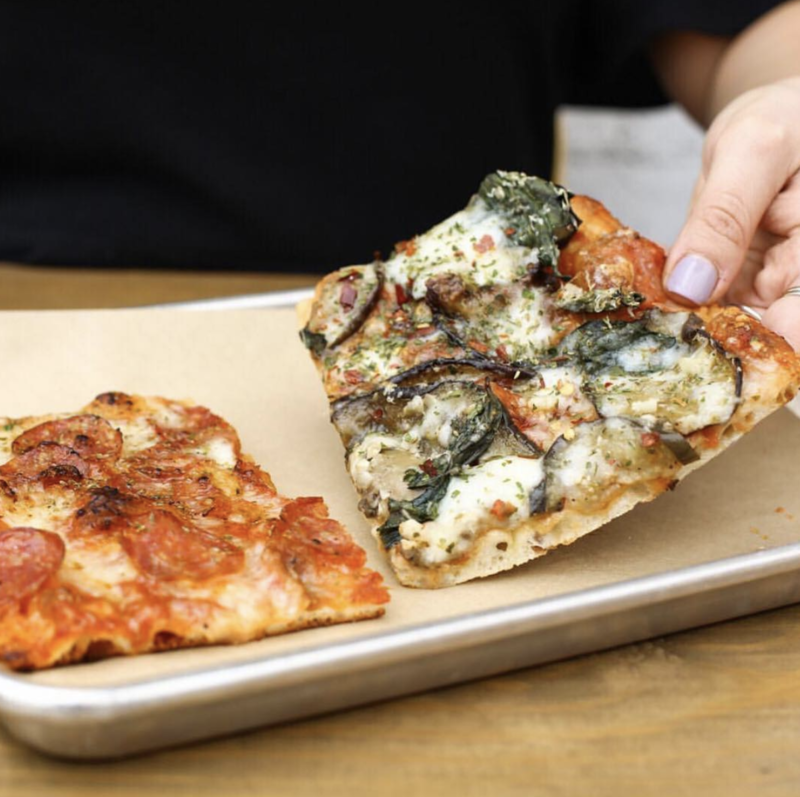 to grab your snack – then unwind in front of the big screen. What’s playing? Crowd pleasing all-time favorites and new shorts by emerging local talents. We love Glendale – it’s a wonderful neighborhood with fascinating history and amazing food (we can never resist the mediterranean fare at Elena’s Greek Armenian Cuisine – the chicken kabob is too delicious!). Get to know Glendale by catching this free community festival that will feature music performances, arts markets, beer and wine gardens, and a warm and cozy vibe. 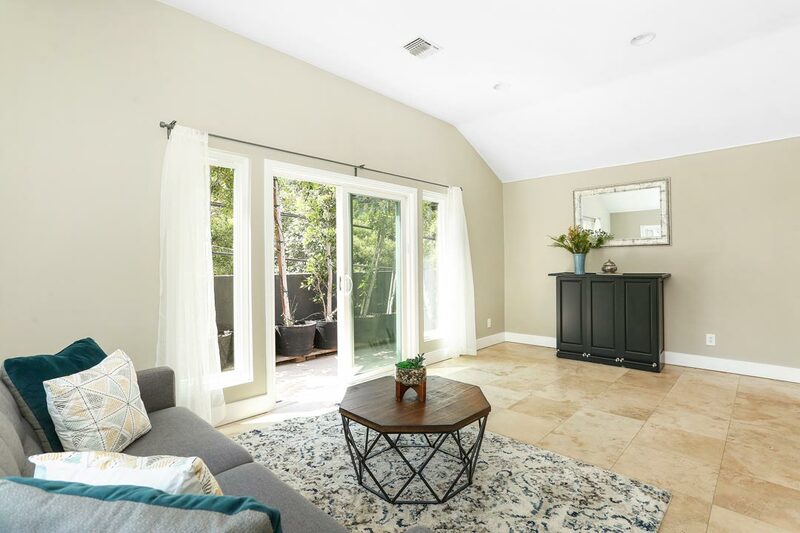 If you already know and love Glendale, check out our listing at 3520 Fallenleaf Pl and contact us if you are interested in touring this spacious home. 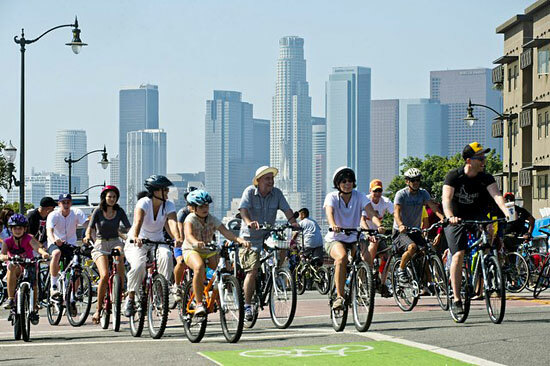 Grab your wheels and celebrate LA with CicLAvia and LA Phil! This year LA Phil starts off the season on a rather exciting and unexpected note: it joins forces with CicLAvia for a car-free, music-filled fest that begins in DTLA at the Walt Disney Concert Hall and sprawls all the way to the orchestra’s summer abode at the Hollywood Bowl. You’ll be able to bike, wheel, skate or walk between Downtown L.A. and Hollywood as more than 1,800 musicians, artists and dancers will perform at six pedestrian hubs across the eight-mile route. Your trek will be rewarded by a grand show at the Hollywood Bowl, where Gustavo Dudamel will lead the Los Angeles Philharmonic with performances from Herbie Hancock, Kali Uchis, Youth Orchestra Los Angeles (YOLA) and more. 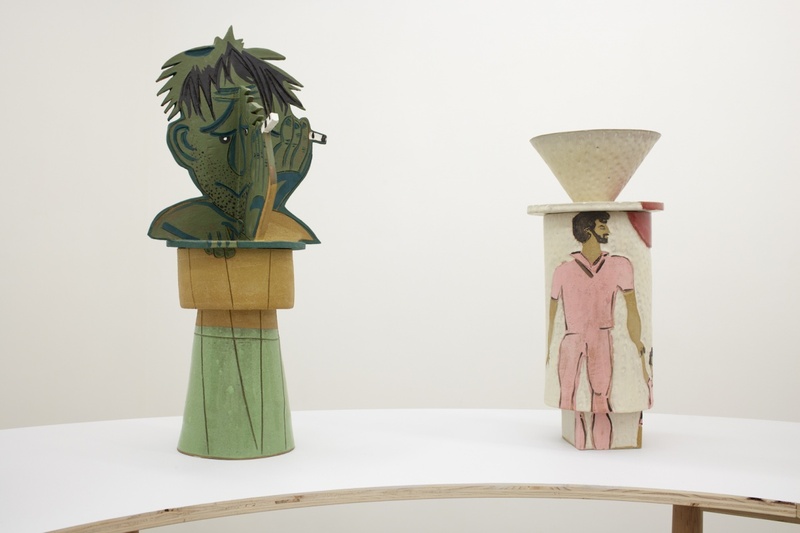 Did you know that in recent years Los Angeles became a Ceramics Mecca? There are so many local artists working in the medium today, and many of them are truly exceptional. 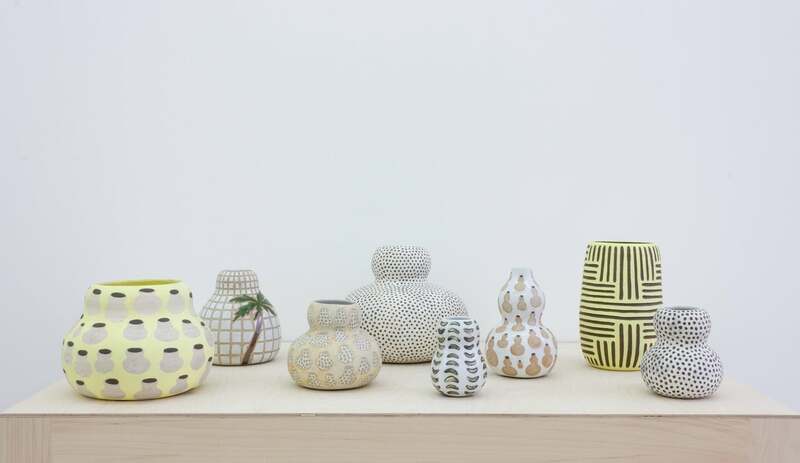 The LA Times weighed on the phenomenon the other day, proposing that it is the prevalence of the digital in our everyday’s lives that contributed to the resurgence of interest in ceramics, a craft that is sensory and filled with touch. 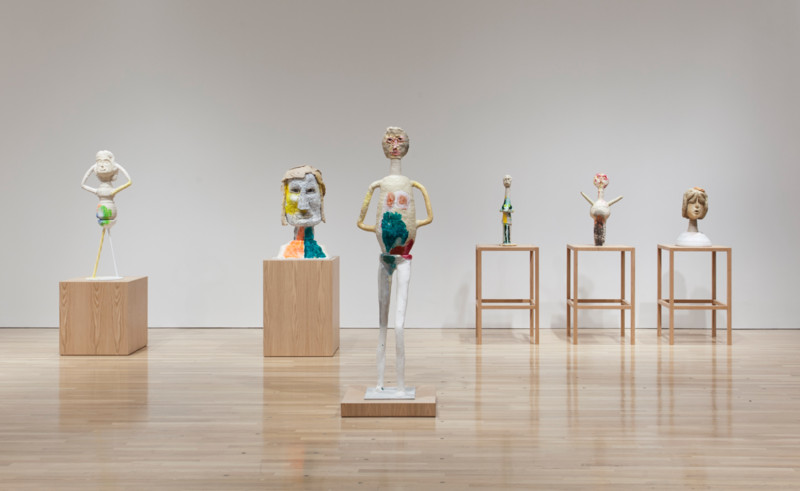 Another sign that ceramics are “hot” right now is two LA museums recently announcing ceramic biennials, following the footsteps of the Scripps College Ceramic Annual which has been running for full 74 years. 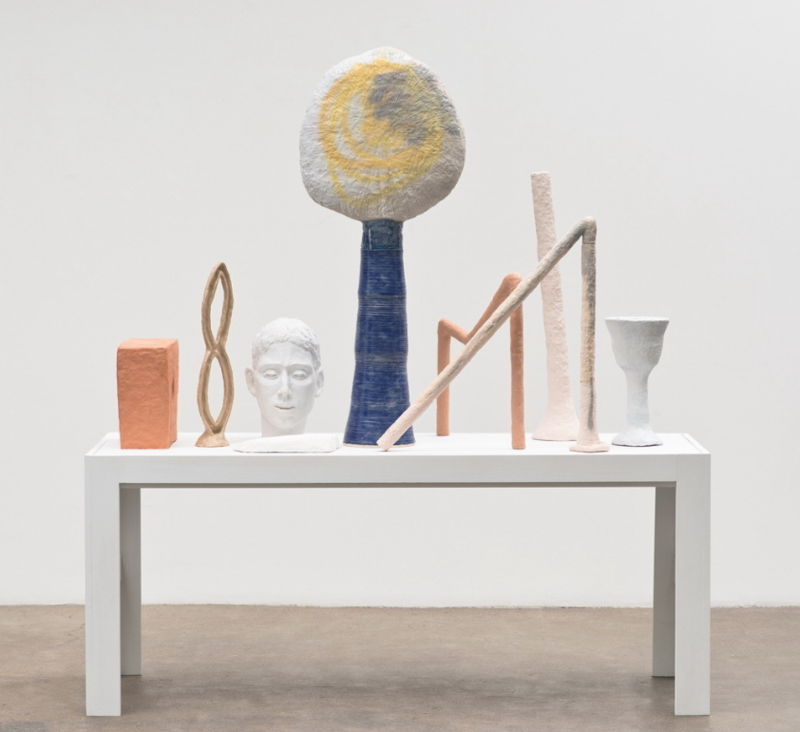 We look forward to seeing ceramic works in CAFAM’s new biennial, “Melting Point: Movements in Contemporary Clay.” The other biennial, also steamily titled “Fahrenheit,” will be launched by the American Museum of Ceramic Art in Pomona. 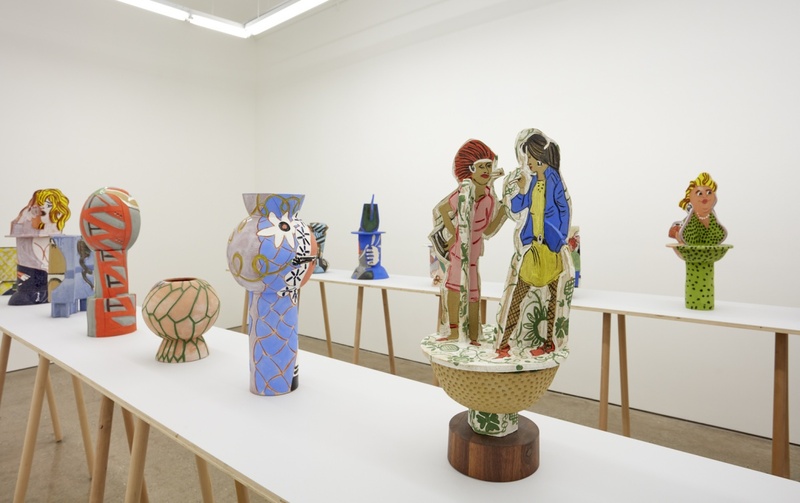 Makes sculptural ceramics that are filled with whimsy and witty references to art history, from Ancient Greek amphoras to Matisse’s collages. 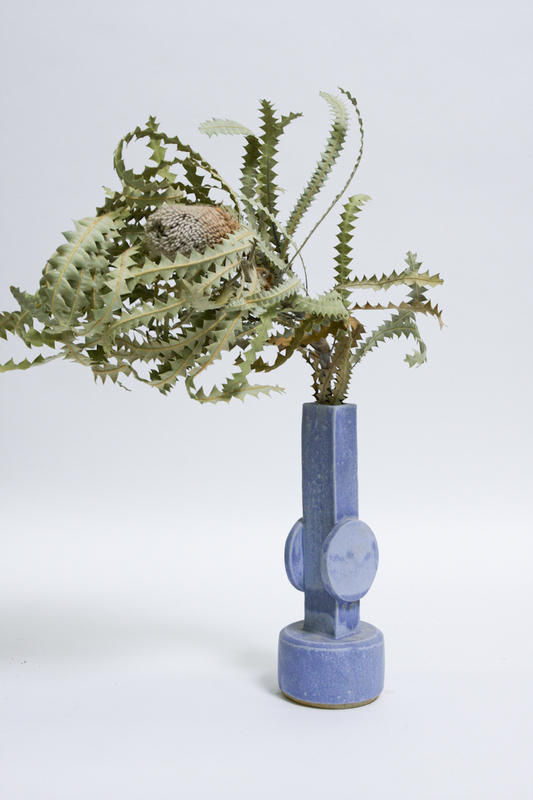 is a talented ceramic artist whose sculptural work recalls Brutalist Architecture with a hint of Sci-Fi. Ben’s magnificent mugs are certain to make your morning coffee special every single time. 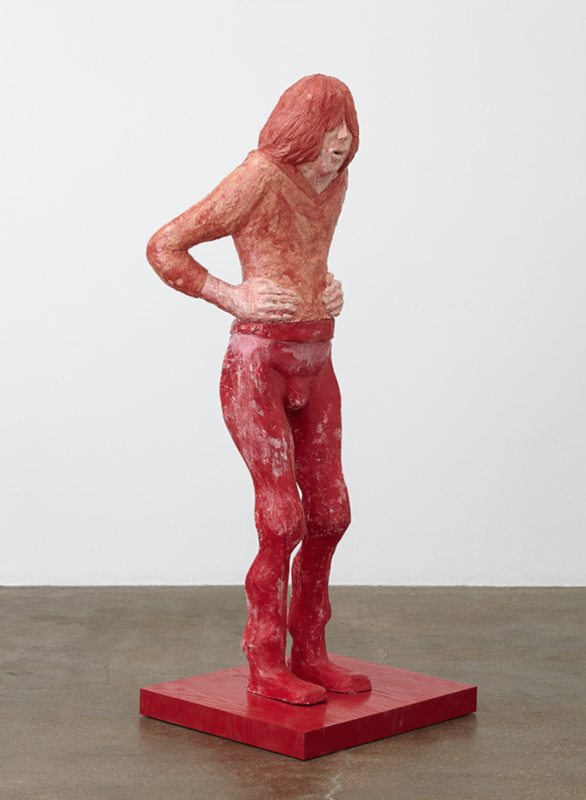 is celebrated for wonderful figurative work that is both humorous and profound. 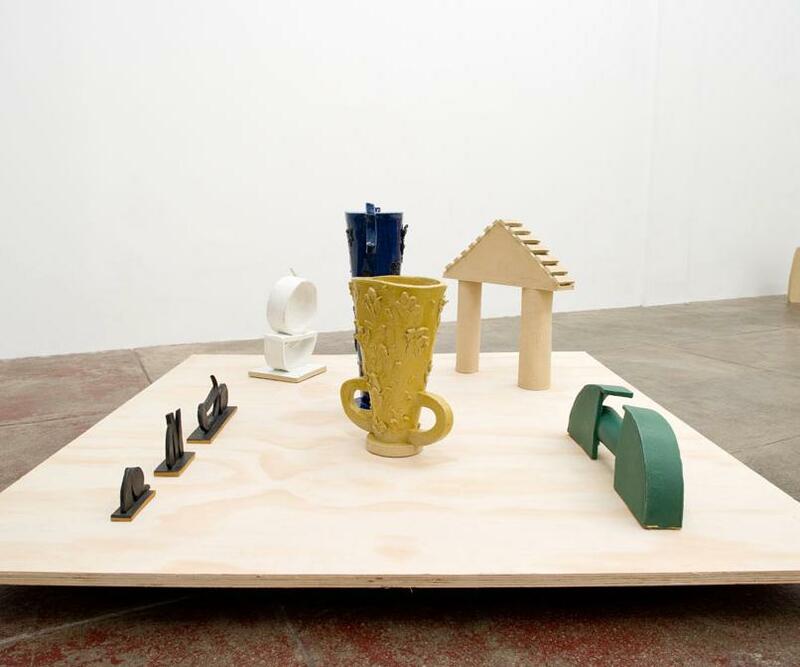 Has a fluid practice that includes objects, large-scale installation, site-specific public sculpture, and a line of functional ceramics – BZippy & Co. Bari’s work often engages ideas of consumerism, propaganda, and the built environment. We love her 2018 series, Propaganda Pots, which “references 1980’s propaganda posters from former Eastern Bloc countries”. 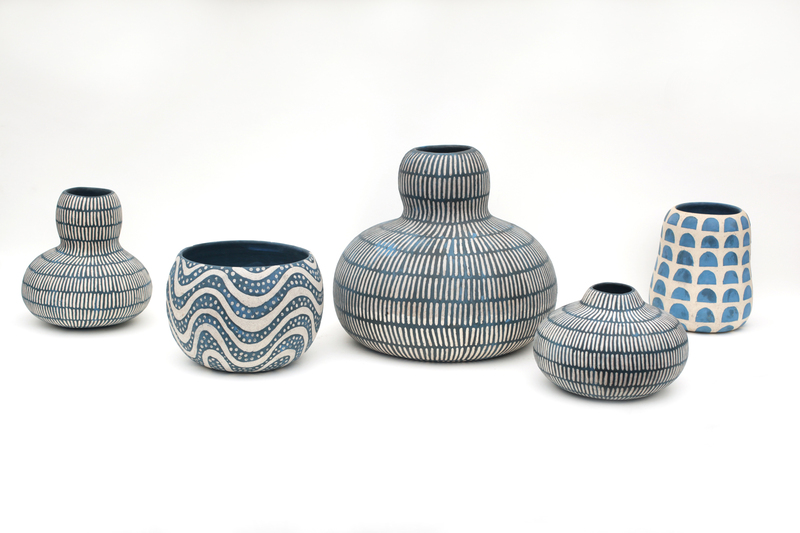 Is fluent in the language of pattern – her ceramic vessels delight the eye with intricate details and organic forms. August seems to be an international OOO month, but if you haven’t decided where to travel, staycation is always a good idea. 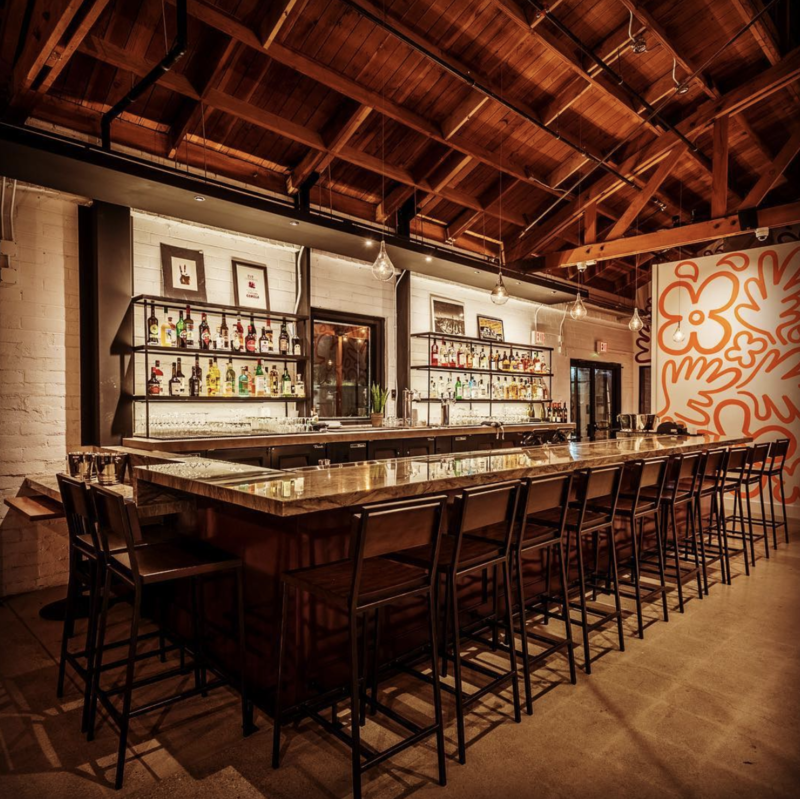 There are so many beautiful places to discover in Los Angeles, and the city is large enough to make you feel that you’ve traveled far and wide without actually leaving town. If the summer finds you in Northeast Los Angeles, may we suggest visiting the serene grounds of Self-Realization Fellowship – one of our favorite spots in beautiful Mt. Washington. Perched on a hilly street, the park is an oasis of calm – and has a fascinating history of all its own. The developer, map maker and Athletic Club board member, Robert Marsh, had long been enchanted with Mount Washington. Partnering with a fellow enthusiast and electrical works manufacturer, Arthur St. Claire Perry, Marsh purchased 565 acres of property on the mountain. As the pair began developing, Marsh and Perry decided to build a short funicular railway to take visitors up the mountain to its main attraction, the three story Mission Revival Mount Washington Hotel. 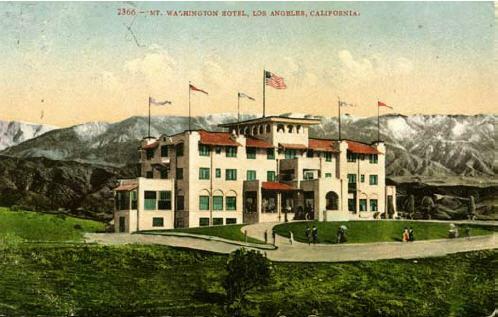 Opened in 1909, the elegant hotel attracted visitors with its observation deck, tennis count and Japanese garden, and was often frequented by the moviemakers that worked in nearby Highland Park and Edendale early movie studios. Though the hotel and the railway are a thing of the past, you can still catch the aura of history by visiting its mission style station at the corner of Avenue 43 and Marmion Way. It’s hard to believe, but there was once a time when there were no yoga studios to be found in Los Angeles. Paramahansa Yogananda is credited to have been one of the gurus that brought the teachings of Eastern Philosophy to the West in the mid-20th century; he came to LA in 1930’s and founded the Self Realization Fellowship monastery. In 1950, he made the former site of Mt Washington Hotel his home, and as yoga gained increasing popularity by the late 60s, the SFT became more and more well-known. Legend has it that Elvis Presley visited the center in Mount Washington in search of advice – luckily the monks advised him to continue his singing career. Today, the contemplative garden is still a part of a working monastery. 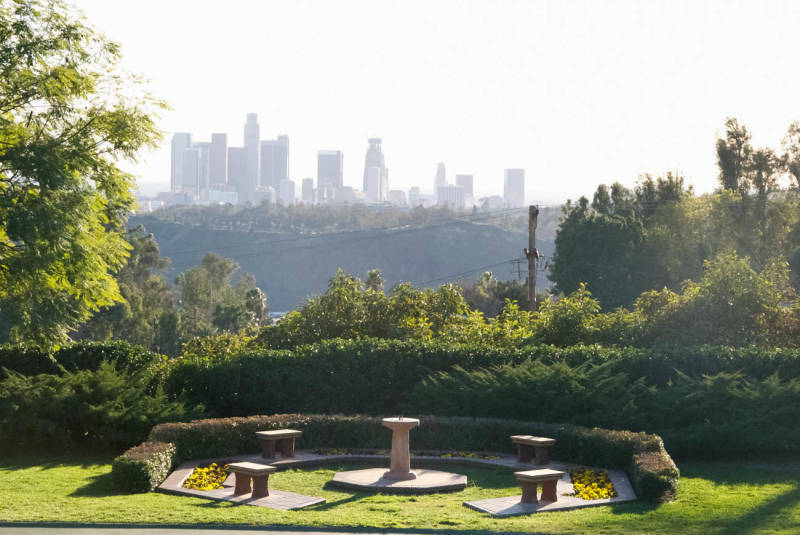 Filled with native flora, it’s a wonderful space for quiet reflection while taking in the gorgeous views of downtown Los Angeles. There are lots of spots to perch and meditate within the garden surrounding “Yogiji”‘s original home, and we especially love the space that is known as “The Leaf Temple”– a beautiful sunken meditation garden beneath the boughs of Oak. Stop by to take a break – and if Mt. Washington neighborhood has you enchanted, come visit our beautiful listing around the corner from the garden – 4617 Cleland Ave will be Open this Saturday, 2-4P. It is our greatest pleasure and honor to be #119 in Real Trends, the annual real estate ranking released by The Wall Street Journal. We are thrilled to be among the great realtor teams that make up the prestigious ”Thousand” and, most importantly, we are immensely grateful to our amazing and loyal clients who continue making our job so rewarding every single day. We are committed to sparing no effort in helping you meet your homeownership goals and are so thankful to be a part of all the vibrant and inspiring communities we work with. We love you, Los Angeles!